Have you been looking for new or used cars for sale in Wisconsin but are not sure where to start your search? Wanting to find a Chevy dealership near you with vast inventory? If so then you need to come to your local Chevy dealer in Oconomowoc, WI and see one of the many new and used cars for sale. Ewald Chevrolet Buick is known for having a large and diverse inventory of vehicles for sale with everything from the Chevy Cruze for sale, to a Chevy Malibu and everything in between. Here at Ewald Chevrolet Buick, we understand that when it comes to finding a large selection of new and used cars for sale, the process can seem never-ending. Which is why we have a team of people who are happy to answer any and all questions you may have about one of the many new and used cars for sale. Whether you are looking for used Chevy trucks for sale or new Chevy cars, you can find it here at the Chevy dealer near you in Oconomowoc, WI. 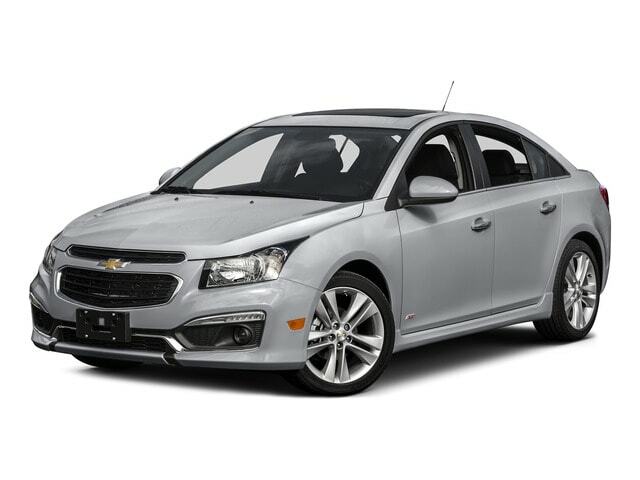 One of the many impressive Chevy cars for sale here in Oconomowoc, WI is the all new Chevy Cruze for sale. This Chevy for sale comes with many features both inside and out that you will not want to miss. You are sure to turn heads in this Chevy for sale with a clean and eye-catching design. The exterior of this Chevy for sale is toned and crisp with LED headlights that are excellently shown off by the Chrome accent features. From the form of the Chevy Cruze you get a sports car look and style, and from the back, you find the iconic Chevy sedan design. Alloy wheels and 15-inch tires wrap this Chevy car up in a clean and crisp package that is sure to impress everyone who sees it. The interior of this Chevy for sale also features a fresh design with every inch of it created to make your day to day driving a little more enjoyable. Heated leather seats with custom stitching and an adjustable power seat with lower lumbar support will make your drivers seat your favorite place to be. Soft touch features throughout this car for sale make it both clean and comfortable to drive. The Chevy Cruze for sale comes with a premium sound system and an Mp3 compatible radio that is perfect for listening to all of your favorite music. Plus with a built-in USB port, you can now charge your phone and play your music all at once. On top of that this Chevy Cruze for sale is also fuel efficient letting you think and worry about anything and everything except where to get gas from next. Come to your local Chevy dealership in Oconomowoc and see the all-new Chevy Cruze for sale near you. Looking for a new car for sale that is both sporty and fuel efficient? If so come and see the all-new Chevy Malibu for sale here in Oconomowoc, WI. This Chevy car for sale has years of experience to back up its iconic style and performance. The Chevy Malibu for sale features a lower nose and twin grills design with narrow LED headlights, which gives it a more sports car like look and feel to it. The read of the Chevy Malibu follows suit with the front end, offering swept-back windows and iconic Chevy taillights. The Interior of this Chevy car for sale also comes with many impressive features that you will not want to miss. The cockpit of the Chevy Malibu for sale has a clean and simple design that allows the eye to relax and not wander around. Heated leather seats and steering wheel make your cold Oconomowoc morning a little more enjoyable. With steering wheel controls you can now change the radio station, answer phone calls and more without ever taking your hands off the wheel. Keep the peace in this Chevy for sale with multi-zone climate controls. Now you and your passenger can be at the ideal temperature no matter how hot or cold that may be. The Chevy Malibu for sale also comes with a built-in backup camera and color-coded grid lines to help you into and out of even the most difficult of spots, and now parallel parking will be a breeze. 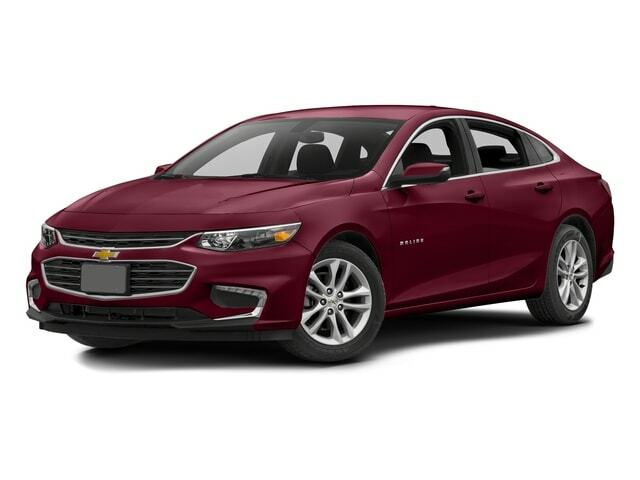 When you want a Chevy car that is sure to turn heads come and see the Chevy Malibu for sale in Oconomowoc, WI. When you are looking for a large selection of Chevy cars for sale near you, come to Ewald Chevrolet Buick in Oconomowoc, WI. Our team of friendly and knowledgeable people is happy to answer any and all questions you may have about one of the many new and used cars for sale. When you are looking for Chevy dealers near you, come to Ewald Chevrolet Buick in Oconomowoc, WI.